Before your read on, listen the the audio samples of each book. They’re all very good. 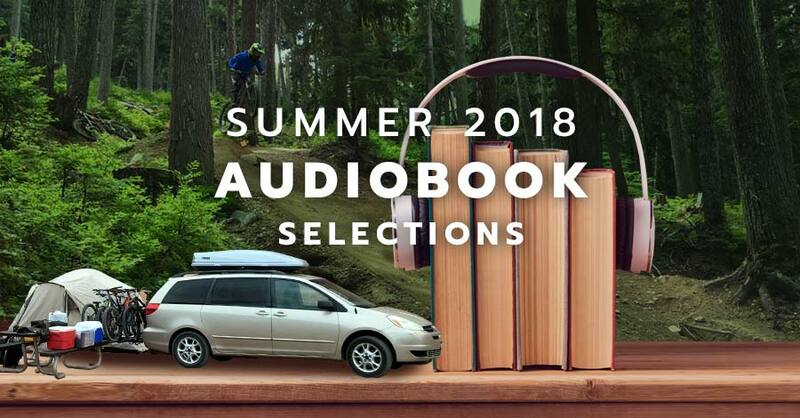 Moving along, we certainly hope you will be spending a lot of time in the car this summer with your family as you add to your book of mountain biking adventures. What audiobooks have you enjoyed with your kids? Please leave a comment below. 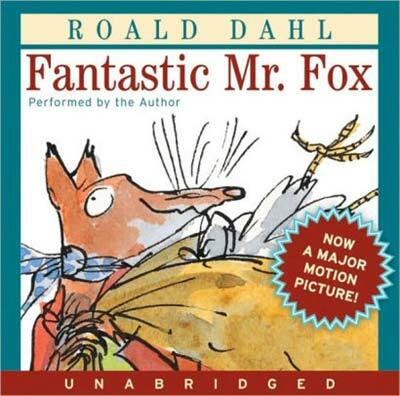 Author Roald Dahl himself narrated his tale of clever Mr. Fox, whose escapades were turned into a movie by Wes Anderson. In order to keep his wife and children fed, Mr. Fox comes up with complicated raids on a series of local farms owned by three men named Boggis, Bunce, and Bean. The farmers aren’t exactly smart or nice, making it no surprise when they trace Mr. Fox back to his burrow (under a local tree) and begin to dig up his home in order to get rid of the “menace” once and for all. As you can imagine, chaos ensues, and Mr. Fox teams up with his neighbors, a number of other displaced animals, in order to get their revenge. The audio version of Fantastic Mr. Fox runs for one hour, making it the perfect thing to listen to on shorter car trips. Although the book is designed for kids aged nine through 13, any child who’s seen the movie may be interested in the original version. Both adults and children will get a kick out of Mr. Fox’s antics. Heads up on this one. Just in case you’re not familiar with this book, it contains strong language, violence, and explicit material. We are listening to this as a family with our 14 year old and 11 year old. This tale of the south in the 1930s follows the narrator, a six-year-old girl nicknamed Scout (real name Jean Louise Finch). Scout’s father, Atticus Finch, is a lawyer appointed to defend an African American man accused of a crime. Harper Lee was inspired to write the book based on her own experiences growing up in a small town in Alabama during the same time frame. Although Scout and her brother, Jem, and new friend, Dill, spend the summer coming up with theories about their reclusive neighbor, Boo Radley, the lighter story is undercut with information on the trial and race relations during the time of Jim Crow in the south. This audiobook, which spans 12 hours, is read by Sissy Spacek. Her southern drawl is a perfect complement to the tale. 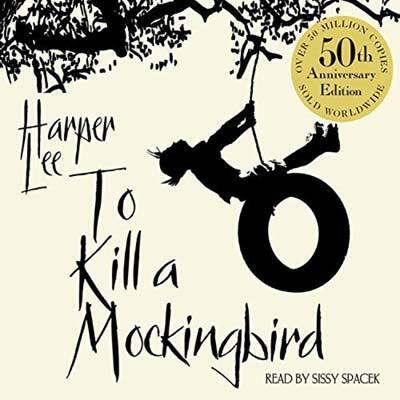 Although To Kill A Mockingbird is on many school’s reading lists and is designed for older children, the young narrator may draw in the interests of younger children. 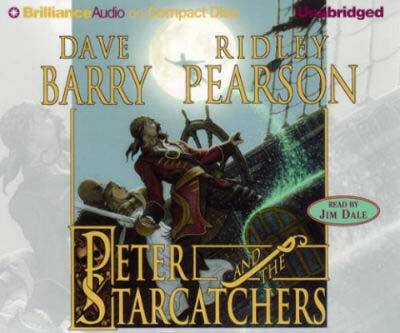 Peter and the Starcatchers is written by Ridley Pearson and Dave Barry. This story takes place prior to the events of Peter Pan. Thanks to the many movie adaptations, most children are familiar with the story involving the boy who didn’t want to grow up, his pirate nemesis, and his friend, Tinkerbelle. Peter and the Starcatchers contains more of the same adventures, only told from a slightly different point of view. In this tale, Peter is marooned on an island with his newfound accomplice Molly, as they try to protect an important treasure from roving bands of thieves of pirates. The treasure is highly sought after, as it consists of “starstuff,” not the typical gold and jewels found in similar tales. This audiobook version of the story is almost 9 hours long and narrated by Jim Dale. Your children – who are probably already aware of Peter Pan – will be thrilled to hear his origin tale. Plus, there are three additional sequels to this book, so if it’s a hit, you can add those to your car trip list. A visit from an unusual stranger starts off this tale of a 12-year-old girl getting swept up on an exciting adventure. Unbeknownst to the protagonist, Meggie, her father, Mo, who she knows only as a bookbinder, is a Silvertongue. This means that he can make fictional characters emerge from books. The unusual stranger, known as Dustfinger, is actually from a book called Inkheart (yes, the same name as the book itself, creating an interesting parallel) that Mo read to Meggie. As the story goes on, Meggie finds out more about her father’s amazing ability from him (as it turns out, whenever a character comes out of a book, something must go back in) and their trip is interrupted by Capricorn, who has a sinister plan. As they try to stop Capricorn, both you and your children will recognize some of the characters that appear, thanks to Mo’s ability. 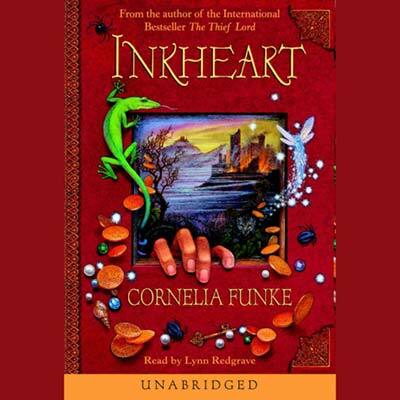 Inkheart, written by Cornelia Funke, is designed for children aged eight and up who love a good fantasy tale. Lynn Redgrave narrates the 15-hour long audiobook. 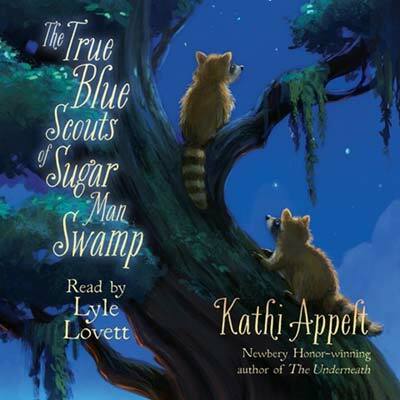 Lyle Lovett narrates the audio version of The True Blue Scouts of Sugar Man Swamp. Kathi Appelt, a Newbery Award nominee and National Book Award finalist wrote the book, which is narrated by two raccoons named Bingo and J’miah. The raccoons are the newest members of a group called the Official Sugar Man Swamp Scouts. The Sugar Man himself has been asleep for over 40 years, although rumors of his love for sugar cane spurred his name and the aforementioned scouting group. The group is normally tasked with taking care of the swamp, keeping things in line for all of the animals who live in it. This changes when a human named Jaeger Stitch decides that he wants to use the swamp for his own purposes and turn it into an alligator-wrestling theme park. It seems as though the best to defend the swamp from him (and a group of feral hogs who also cause trouble) would be to wake up the Sugar Man. The audiobook version of The True Blue Scouts of Sugar Man Swamp is almost six hours long and is designed for kids aged eight to 12.